If you are an adventuresome visitor and have an interest in experiencing the Grand Canyon in a unique way that will allow you to create lifetime memories, you should consider taking one of the many Grand Canyon mule trips. While horses are considered to be an iconic feature of the American West, the most popular equine in and around the Grand Canyon National Park is the mule. These creatures have a unique combination of sure-footedness and the strength of the horse; thus, making it the perfect option for delving deep into the canyon, or for exploring the South Rim or the North Rim. The mule has been carrying visitors throughout the canyon since the late 1800s. Now, you can be the very next to experience this once-in-a-lifetime experience! The South Rim mule trips are offered each year, all year long. You have the unique capability of booking your mule ride in and around the South Rim up to 13 months in advance. These trips depart twice each day, through the month of October. The trips depart once a day through the middle of March. The ride lasts for approximately three hours. It initiates at the livery barn that is located in the Grand Canyon Village. Individuals taking the trip will step onboard an interpretive bus to the Yaki Barn, which is located near the trailhead referred to as “South Kaibab”. Upon arrival, visitors will be introduced to the mules that they will be riding for about two hours. The riders will explore a total of four miles of a newly-built trail within the Grand Canyon. Along the South Rim Grand Canyon mule trips, you will have the opportunity to learn about the formations within the national park, the history of the humans that lived in and around the Grand Canyon, and several other facts pertaining to the national park. If you have an interest in one of the North Rim mule rides, you may enjoy this adventure from May 15th to October 15th, each year. 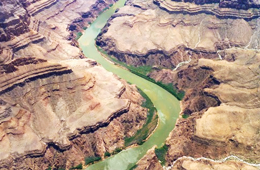 These trips do not extend to the Colorado River, though. Each day, you may typically choose between a one hour ride along the North Rim or a half of a day. 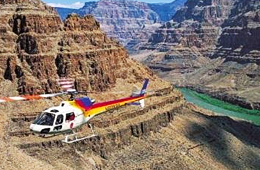 Trips that go into the inner region of the Grand Canyon may also be taken. In most instances, these last approximately a half of a day. 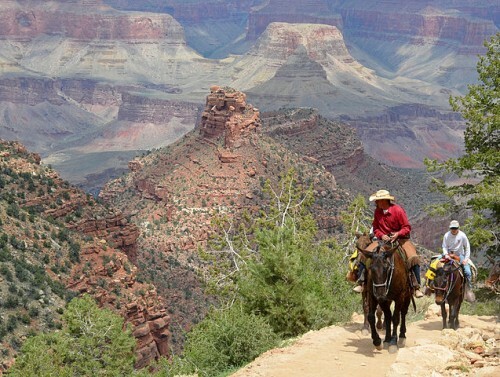 On these mule rides, you may saunter along the many trails of the Grand Canyon and explore its beauty, its geology, and its historical reference. The mule wranglers share a vast array of information pertaining to the area and significant events that have occurred in and around the area throughout history. 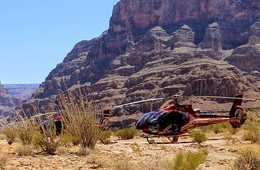 If you are interested in Grand Canyon mule trips, you should be aware of the fact that there are a few rules in place. These are designed to protect both you and the animals that are used for the tours. In most instances, you are expected to weigh no more than 200 to 220 pounds in order to ride the mules. The age limit may go as low as 7 years old on some tours, but, other tours require you to be at least 10 years old. All children must be accompanied by an adult. In addition to these basic rules, you should know and understand that it is important for you to have good health. Now that you know about the various mule rides and rules associated with those rides, you may start planning Grand Canyon mule rides for you and your family today!